20. Nike Air Max 95 "Stash"
The fat caps "camo" Stash came up with for his initial Nike collaboration was fantastic, but it may have been trumped by the palette of blues and greys he used on most of his releases. 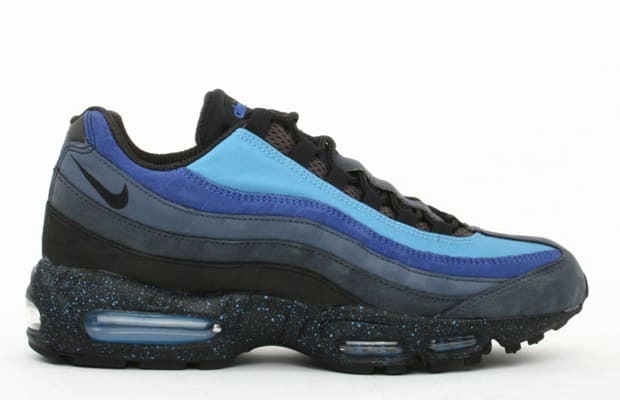 The Air Max BW came first, and was followed in short order by an Air Force 1 Low and these Air Max 95s. The natural gradation on the 95s plus the speckled midsole made them an instant classic.